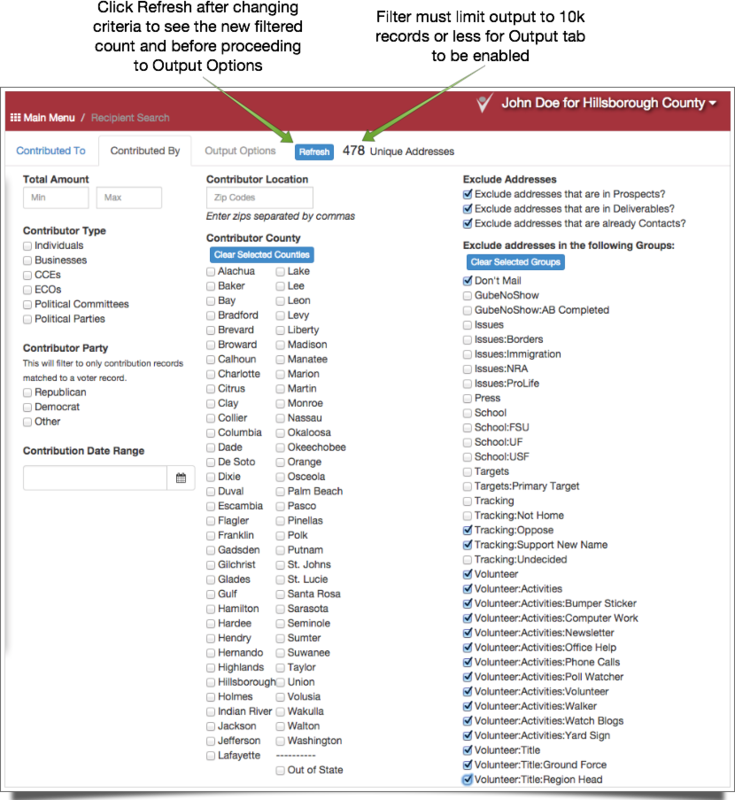 The contribution query tool allows you to filter contributions filed with the Florida Division of Elections since the 2006 election cycle by recipient and donor criteria. Results are sorted in descending order by total amount donated so you can easily target the most lucrative prospects. We have imported contribution records dating back to the 2006 election cycle and will be updated periodically as new financial records are reported to the Division of Elections. You can check the section header bar on the Main Menu to see how current the contribution data is at any time. 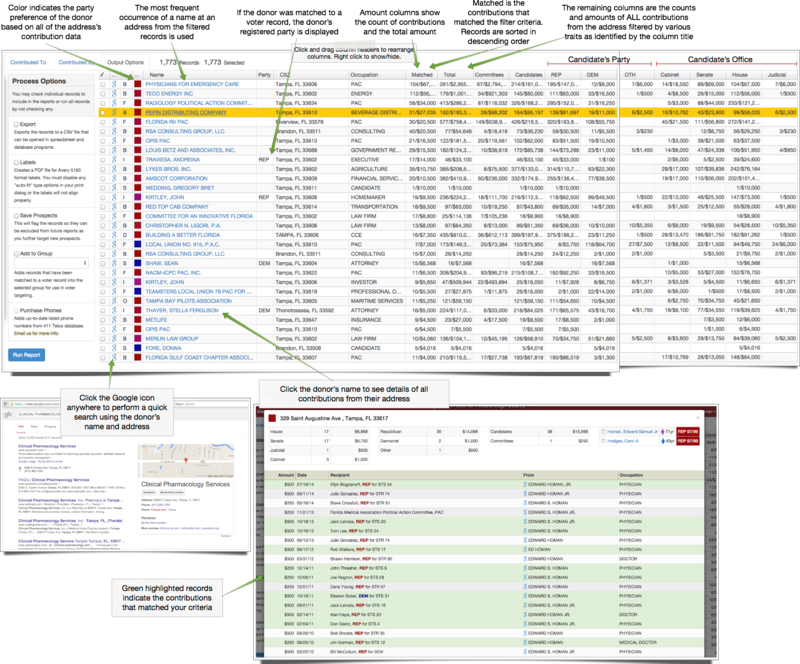 1) Begin your query by (optionally) choosing the candidates and committees whose donors you would like to consider. These are displayed on the "Contributed To" tab. 2) Click the "Contributed By" tab to add filter criteria to the donor portion of the contribution record. 3) Click the "Output Options" tab and select the records you want to keep (or don't select any to keep all), then choose what you want to do with the records and run the report. 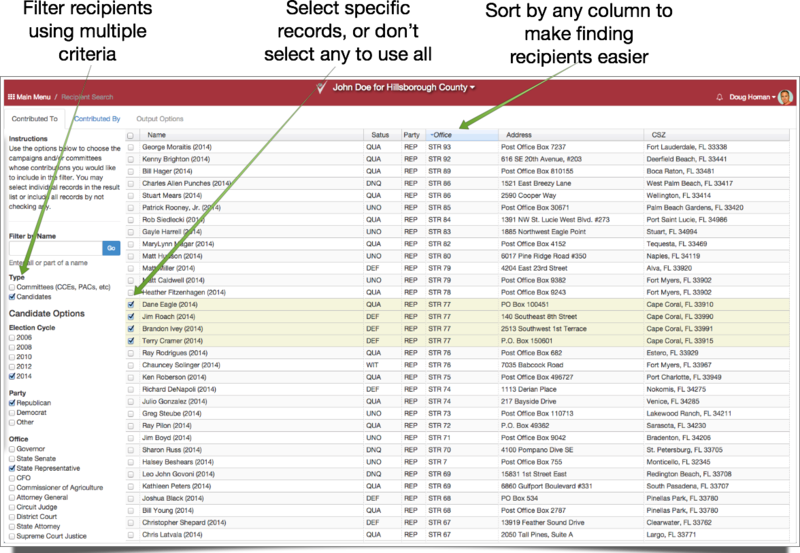 Or use the Google link for each record to help find the contact info for a donor and fund-raise directly from the list.